In 1985, a city identified as Armero in Colombia marked one of the dangerous volcanic eruptions in history, which transformed it into a ghost town. While the government was preoccupied with battling the guerrilla operations in Bogotá, and the different authorities were debating over the importance of warning signs of disasters, the massive number of deaths that could have been avoided happened. Among the people of the town, it was the death of a young girl named Omayra Sanchez and the circumstances in which she died, brought the most attention from the world. Here are more details about the incident. On November 13, 1985, the Nevado del Ruiz volcano erupted creating mudflows and debris flows that traveled 6 meters per second. 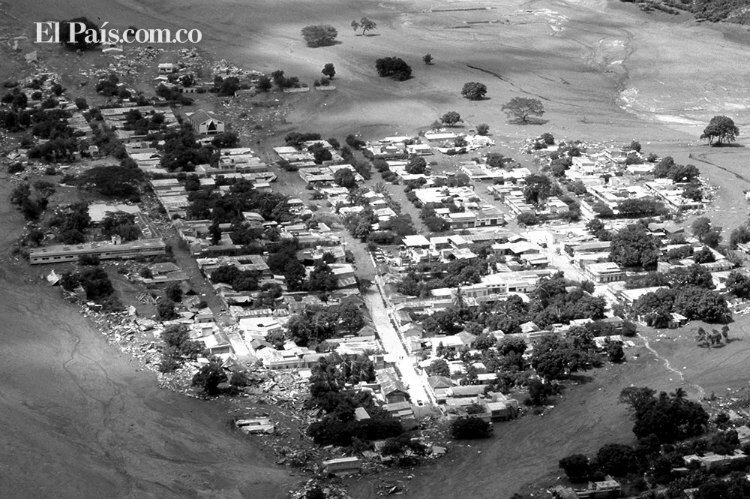 The flows killed most of the town of Armero, Colombia, killing up to 20,000 people. 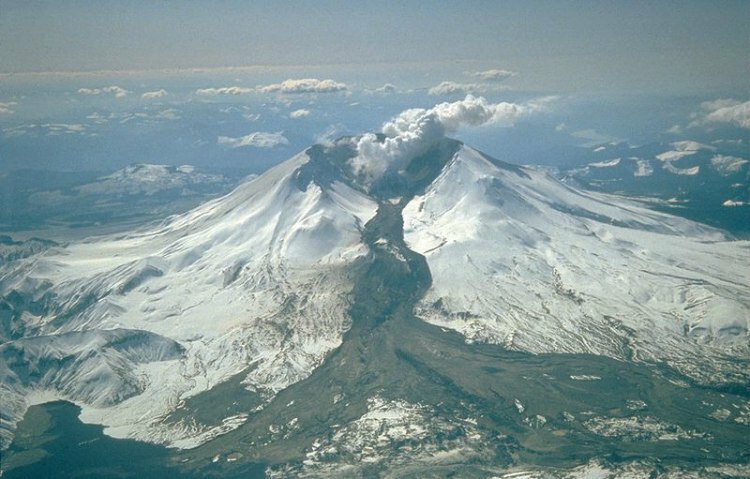 Though the officials heeded the warning signs, including earthquakes and steam eruptions in September 1985, and started planning for evacuations, the hazard maps didn’t reach many areas that had the highest risk. It is said that the loss of life was unnecessarily increased because the authorities failed to take costly preventive measures. Another factor increasing deaths was the villages that were built along the possible paths of lahars, mud, and debris flows from volcanoes. It is the second deadliest volcanic disaster in the 20th century and the fourth deadliest since 1500 AD. When the lahar hit the town, 13-year-old Omayra Sánchez got trapped her waist down under concrete door with her aunt’s arms clutched to her legs. Though the rescue workers tried to pull her out, it was to no avail. When the disaster struck Sánchez, she, her parents, brother, and aunt were in the house, and they were worried about the ashfall from the volcano. During the first few hours, when their home was hit by a lahar, she was covered in concrete but managed to free her hand. A rescue worker noticed her hand and worked on freeing her upper body of debris. After that, the rescuers tried to pull her out which seemed impossible without breaking her legs. Instead, they put a tire around her body to prevent her from drowning in the water. Divers discovered soon that her legs were pinned under a brick door with her aunt holding her legs tightly. Throughout her ordeal, Sánchez remained positive and kind, except for the brief moments when she prayed or cried because she was scared. While the rescue workers were trying to find a way to save her, she remained in a good spirit and even sang. At the same time, she gave an interview to a journalist who was working as a volunteer. She also asked for sweet food and drank some soda. She was also considerate of her rescuers and once told them to leave her so that they could get some rest. After struggling for almost 60 hours (three nights) Sánchez died at around 10.05 AM, on November 16, most likely because of gangrene and hypothermia. On the third night under the concrete debris, she started hallucinating and saying that she would be late for school. Her face was already swollen, her hands whitened, and her eyes became red. The rescuers brought a pump to get her out and found that she was pinned in a kneeling position, making it impossible to get her out without amputation. However, as there was no surgical equipment required to handle the blood loss after amputation, they had to decide to let her die humanely, which happened. 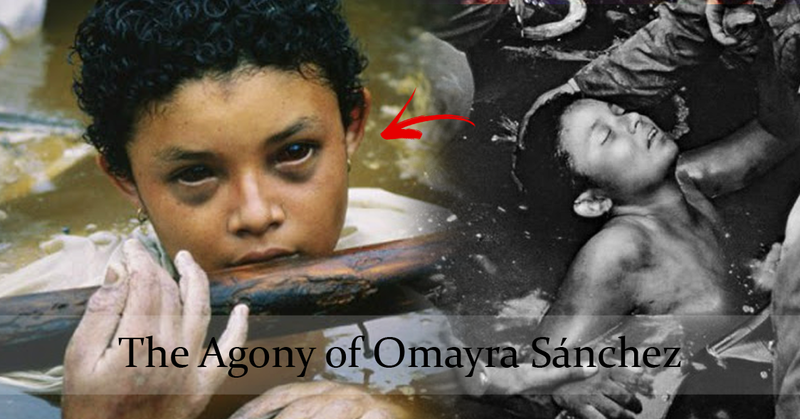 A photograph, titled “The Agony of Omayra Sánchez“, taken by a French reporter, Frank Fournier, on November 15, created controversy, shock, and concern alike around the world. The government of Columbia, in order to prevent such future catastrophes, established the Directorate for Disaster Prevention and Preparedness.